Virtual and augmented reality have begun to redefine the many ways we experience the world by creating immediate immersive environments that can be applied to a wide variety of fields, from leisure to gaming, professional development and even fashion and beauty. Fashion has been gradually integrating itself into the VR world by providing consumers with first-look experiences. Beauty companies are also experimenting with digital worlds where users can try on products. 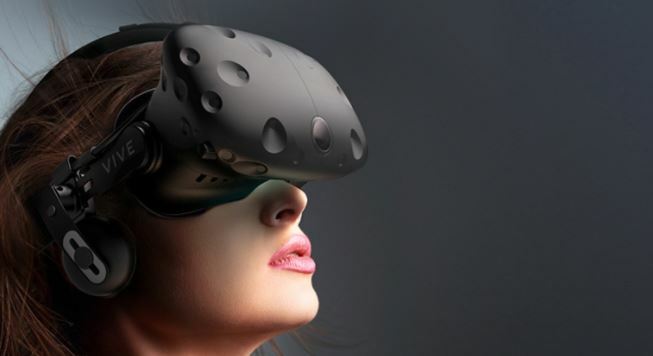 Moreover, VR and AR technology has also allowed designers and manufacturers to limit sample production, thus reducing waste and improving efficiency. Gone are the days when a high fashion picture was the only way to advertise, attract, and build anticipation. Gone are the days when products required a physical visit to the store to “try before you buy.” Gone are the days when creativity was limited by impediments in productivity An increasing number of high-fashion brands, such as Tommy Hilfiger and Coach have begun to place VR headsets in stores that allow shoppers to experience 360 degree fashion shows that show each brand's latest collection. Just last month, GAP introduced virtual fitting rooms that allow people to digitally try on clothes. Beauty companies like Sephora, Rimmel and Charlotte Tilbury have also launched augmented reality applications that allow customers to try on different products via filters on mobile devices, much like Snapchat. These types of experiences increase intimacy between the product and consumer. The “try-before-you-buy” phenomenon, especially in fashion, helps build a greater sense of trust between consumers and sellers. Why might companies be doing this? It’s more than just a marketing gimmick. VR experiences can help designers and creators harbor qualitative data from users which can help drive marketing techniques and business strategies without having to spend continuous money on physical prototype development. It also helps people see your vision before you have to physically give it a go, thus allowing designers to maximize creativity while increasing efficiency. Further, the ability to virtually simulate the experience of watching a runway show from the first row at New York Fashion Week is not only enticing, but also fantastic marketing that gives people a reason to buy. VR developers are also gradually trying to target independent designers and aspiring artists to use technology to create their designs. For example, “Thread Studio” for HTC Vive allows users to virtually design clothes in a studio setting, and then capture images of what they see that can then be sent to your computer. In this way, the dimension of reality that virtual reality can offer seems more concrete, as opposed to an imaginary world that only exists in a brick of plastic. Yet, recent adoption of such programs have been slow, partly because of VR’s narrow (but growing) audience. As of right now, virtual and augmented reality seems to be targeting emotional appeal. How does someone feel after being in a simulated experience--enticed, curious, energetic, excited? This is what high-end fashion designers are trying to convey--an intangible vision that is strong enough to convince consumers to feel enticed and captured. “It's not about turnover by square foot anymore,” said Tommy Hilfiger's CEO Daniel Grieder. “It's about surprise by square foot, or newness."